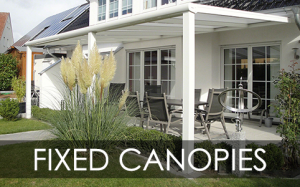 When you need to create a shaded or sheltered outdoor area for your home or business, the possibilities seem endless and whilst there is a large choice, please be aware of the overall limitations of various weather protection products and what you will actually achieve long term by installing them. In our experience, many commercial awning applications can be seriously miss sold. With most commercial applications being far larger than a domestic system, the stresses from heavy rain and strong winds, will be far more serious. If you want to create a covered outdoor area for customers, then you also want to rest assured that there will not be any issues with product failure. Whatever your requirement, we stress that being fit for the intended purpose should be your main concern, as you want your system to look as good as new for as long as possible and not deteriorate in the UK weather. 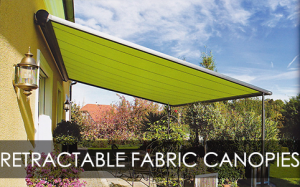 All of the products and awnings we provide here at Samson have been developed, sourced and tested from companies in Northern Europe, with weather and climates similar to the UK. The domestic and commercial awnings and blinds we offer are ideal solutions for sun and heat protection, but generally cannot be used in heavy rain or high winds. 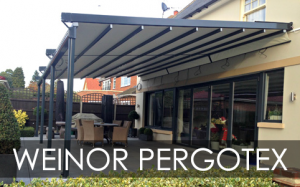 More thought is needed for any patio or garden facing south or west to enable maximum control over the shading, with greater degrees of pitch and other accessories, such as drop down valances and blinds for low lying sun.A basic requirement to protect yourself or items in your property from the damaging UV rays from the sun is easily tackled with either a self supporting retractable awning or any one of the many vertical blind systems we offer. 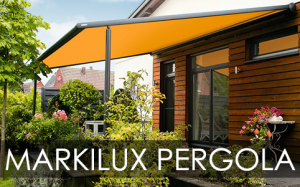 The solution to sun protection is always usually a fabric cover or canopy, and because it is fabric it is essential that it is retractable when not in use due to the UK climate. 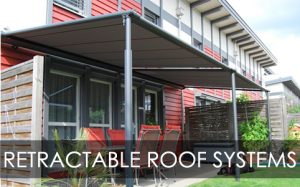 Although self supporting awnings may deal with reasonable rainfall, the better systems are the ones with front support posts and side channels, ensuring a higher level or fabric cover tension and therefore a higher rating in wind and rain. 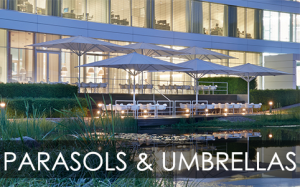 Most of our higher end commercial umbrellas will offer protection from any rainfall, but you will have four exposed sides which means that the slightest wind will drive the rain underneath the umbrella.For sun and wet weather protection there are some simple rules. 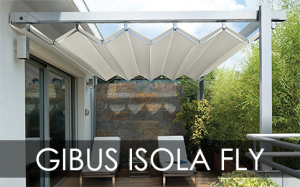 Firstly, if it is a fabric awning, then the cover had to ideally be at around 15 degrees in pitch to allow any rainfall to run straight off, and not ‘pool’ on the canopy fabric. 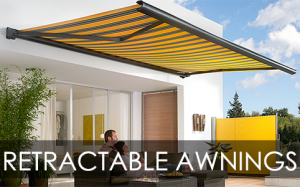 It is also essential that the awning is of a sturdy construction, which is offered by our manufacturers with our awnings having large section supporting arms, tough stitched, glued and treated fabric covers, and ideally electric operation with a wind sensor to retract the exposed cover in high winds, in case there is a sudden change of weather. If you require protection from the wind as well as the sun and rain, this is achieved using additional vertical blinds or sliding/folding door systems within a fixed and suitable structure, which is one of our fixed or retractable canopy systems. We offer various systems that are capable of incorporating lighting, leading and integral guttering. 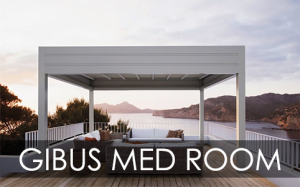 Retractable roof systems such as the Pergotex and Med Isola Fly are able to have retractable sides and fronts to match the retractable roof, whereas our fixed systems can have fabric blinds or solid, sliding or folding glass walls. 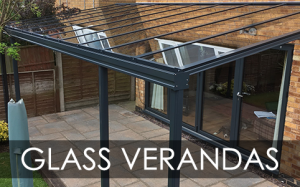 To get ultimate all year round weather protection, you need a product to have a permanent and fixed roof coverage such as a glass veranda, but with the option to extend a fabric blind or awning over the top for when there is sunshine and heat in the summer months. 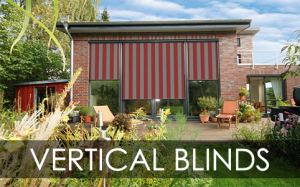 Combine a sliding glass door system and a retractable vertical cassette blind with a semi transparent fabric and you have a versatile outdoor room. 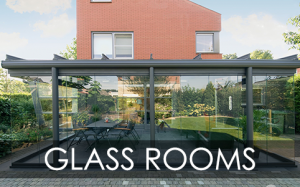 With all year round weather protection, you have the ability to have a system which starts as a polycarbonate or glass canopy, which allows you to enjoy your garden underneath a cover and then decide on whether you want fixed glass walls, sliding or folding doors or which colour fabric you want your vertical blind and awning, as these can all be fitted after the initial install. This is an excellent way to spread the cost of products that are going to make a huge difference to your home.